The Antibiotic Stewardship GUIDELINES Pocket Guide is based on the latest guidelines of the Infectious Diseases Society of America (IDSA) and was developed with their collaboration. This practical quick-reference tool contains graded recommendations for instituting and optimizing stewardship programs to assure the most effective and enduring use of antibiotics in healthcare settings. Approaches to optimize the use of both existing antibiotics and newly developed antibiotics are of critical importance to ensure that we continue to reap their benefits and provide the best care to patients. The benefits of antibiotic stewardship include improved patient outcomes, reduced adverse events including Clostridium difficile infection (CDI), improvement in rates of antibiotic susceptibilities to targeted antibiotics, and optimization of resource utilization across the continuum of care. IDSA and SHEA strongly believe that antibiotic stewardship programs are best led by infectious disease physicians with additional stewardship training. We recommend preauthorization and/or prospective audit and feedback over no such interventions (See Table 1) (S-M). Preauthorization and/or prospective audit and feedback improve antibiotic use and are a core component of any stewardship program. Programs should decide whether to include one or a combination of both strategies based on the availability of facility-specific resources for consistent implementation, but some implementation is essential. We suggest against relying solely on didactic educational materials for stewardship (W-L). Passive educational activities, such as lectures or informational pamphlets, should be used to complement other stewardship activities. Academic medical centers and teaching hospitals should integrate education on fundamental antibiotic stewardship principles into their preclinical and clinical curricula. We suggest antibiotic stewardship programs (ASPs) develop facility-specific clinical practice guidelines coupled with a dissemination and implementation strategy (W-L). Facility-specific clinical practice guidelines and algorithms can be an effective way to standardize prescribing practices based on local epidemiology. ASPs should be involved in writing clinical pathways, guidelines, and order sets that address antibiotic use and are developed within other departments at their facility. We suggest ASPs implement interventions to improve antibiotic use and clinical outcomes that target patients with specific infectious diseases syndromes (W-L). ASP interventions for patients with specific infectious diseases syndromes—such as community-acquired pneumonia, skin and soft tissue infection, and urinary tract infection—can be an effective way to improve prescribing because the message can be focused, clinical guidelines and algorithms reinforced, and sustainability improved. We recommend antibiotic stewardship interventions designed to reduce the use of antibiotics associated with a high risk of Clostridium difficile infection, compared with no such intervention (S-M). The goal of reducing CDI is a high priority for all ASPs and should be taken into consideration when crafting stewardship interventions. We suggest the use of strategies (e.g., antibiotic time-outs, stop orders) to encourage prescribers to perform routine review of antibiotic regimens to improve antibiotic prescribing (W-L). Successful prescriber-led programs appear to require a methodology that includes persuasive or enforced prompting. We suggest incorporation of computerized clinical decision support at the time of prescribing into ASPs (W-M). Computerized clinical decision support for prescribers should only be implemented if information technology (IT) resources are readily available. However, computerized surveillance systems can streamline the work of ASPs by identifying opportunities for interventions. We suggest against the use of antibiotic cycling as a stewardship strategy (W-L). We recommend that hospitals implement pharmacokinetic monitoring and adjustment programs for aminoglycosides (S-M) and suggest the same for vancomycin (W-L). The conduct of both programs should be integrated into routine pharmacy activities. In hospitalized patients, we suggest ASPs advocate for the use of alternative dosing strategies versus standard dosing for broad-spectrum β-lactams to decrease costs (W-L). Although data for improved outcomes for broad-spectrum β-lactam dosing with this approach are still limited, these interventions are associated with antibiotic cost savings. ASPs should consider implementation but must take into account logistical issues such as nursing and pharmacy education and need for dedicated IV access. We recommend ASPs implement programs to increase both appropriate use of oral antibiotics for initial therapy and the timely transition of patients from IV to oral antibiotics (S-M). IV-to-oral conversion of the same antibiotic is applicable to many healthcare settings and should be integrated into routine pharmacy activities. ASPs should implement strategies to assess patients who can safely complete therapy with an oral regimen to reduce the need for intravenous catheters and to avoid outpatient parenteral therapy. In patients with a history of β-lactam allergy, we suggest that ASPs promote allergy assessments and penicillin skin testing when appropriate (W-L). Allergy assessments and PCN skin testing can enhance use of first-line agents. ASPs should promote such assessments with providers. In facilities with appropriate resources for skin testing, the ASPs should actively work to develop testing and treatment strategies with allergists. We recommend that ASPs implement guidelines and strategies to reduce antibiotic therapy to the shortest effective duration (S-M). 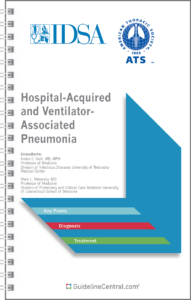 Suitable approaches include developing written guidelines with specific suggestions for duration, including duration of therapy recommendations as part of the preauthorization or PAF process, or specifying duration at the time of antibiotic ordering (e.g., through an electronic order entry system).